The Gulf of Maine is warming faster than more than 99 percent of the world’s oceans, prompting fears about the future of one of the Atlantic's most unusual ecosystems and the industries it supports. Imagine Cape Cod without cod. Maine without lobster. The region's famous rocky beaches invisible, obscured by constant high waters. It's already starting to happen. The culprit is the warming seas — and in particular the Gulf of Maine, whose waters are heating up faster than 99 per cent of the world's oceans, scientists say. Long-established species of commercial fish, like cod, herring and northern shrimp, are departing for colder waters. Black sea bass, blue crabs and new species of squid — all highly unusual for the Gulf — are turning up in fishermen's nets. The Gulf of Maine's warming reflects broader trends around the North Atlantic. But the statistic — accepted by scientists at the National Oceanic and Atmospheric Administration — underscores particular fears about the Gulf's unique ecosystem and the lucrative fishing industries it supports for three U.S. states and two Canadian provinces. "These changes are very real, and we're seeing them happen quickly," said Malin Pinsky, a biology professor at New Jersey's Rutgers University who studies ocean temperature change and was not involved in the research that resulted in the 99 per cent statistic. "The warming is already here," said Jeff Young, a spokesman for Pew Charitable Trust's oceans project, which has campaigned in favour of restrictions on fishing for herring, another species leaving for colder water. "And we have to deal with it." The rising waters in the Gulf — a big dent in the East Coast stretching from Massachusetts to Nova Scotia and New Brunswick — have interfered with the work of Diane Cowan, founder of the Lobster Conservancy, who has conducted lobster censuses in New England for 22 years. 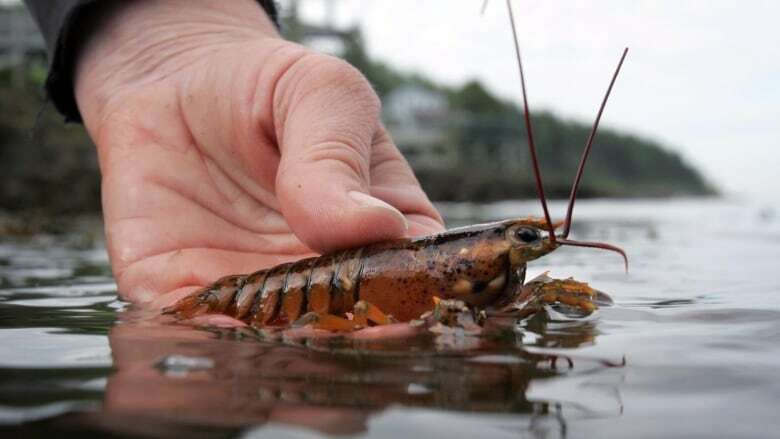 On a recent August morning, she made it to the site and found 19 young lobsters — far down from the huge colonies she found seven years ago, she said. Until 2004, Gulf temperatures were increasing by about 0.05 degrees per year since 1982, about in line with worldwide trends, said Andy Pershing, chief scientific officer at the Gulf of Maine Research Institute and the man behind the 99 per cent figure. But then the pace accelerated to about a half-degree per year — nearly 10 times faster. "Atmospheric events" could be pushing additional heat into the Gulf, causing a "perfect storm" of conditions that combine to dramatically raise temperatures there, said Nick Record, a research scientist at the Bigelow Laboratory for Ocean Sciences, a Maine centre for oceanography. Pershing and many peers agree. Another possible cause, Pershing said, is that shifts in the Gulf stream, the Atlantic current that originates in the Gulf of Mexico and keeps Europe mild, warming the ocean off the northeast. The Gulf of Maine's temperature is expected to rise more than four degrees by the end of the century, Pinsky said. The 99 per cent statistic isn't arbitrary. Pershing and others compared ocean trends and presented the figure to NOAA in April. Puffin chicks have starved and died because of a lack of the herring and hake they need to grow and fledge. Seemingly overnight, longfin squid — normally found in warmer, more southerly waters — appeared, Record said. Governments are reacting by creating new commercial fisheries. Maine regulators are in the process of creating a licensing process for black sea bass, a species associated more with the mid-Atlantic.